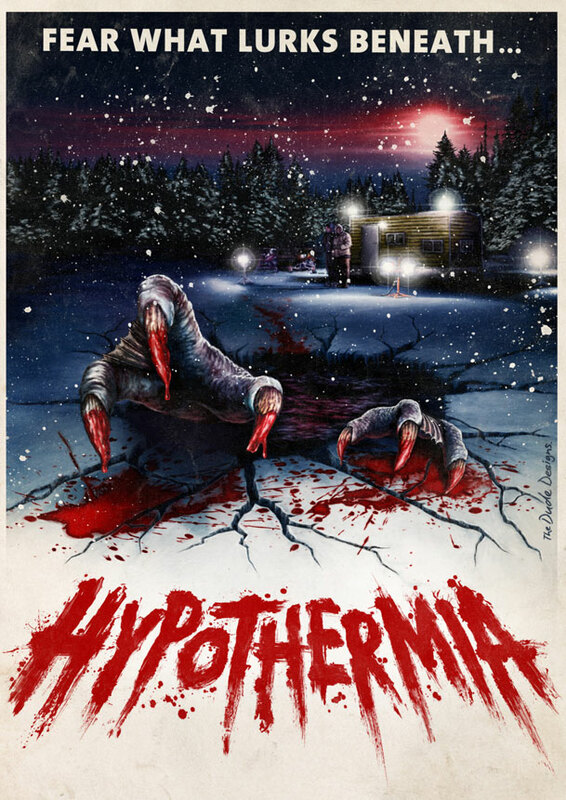 Dark Sky Films brings us Hypothermia and has released a retro alternate cover art. The Dude Designs strikes again with the creative artwork for the cover art. Hypothermia is already on DVD so make sure you check it out. Hypothermia is directed by James Felix McKenney and Michael Rooker heads up the cast. Synopsis: Ray Pelletier and his wife Helen have been ice fishing the frozen expanse of Lake Noyade for over two decades but this year something is different: no fish bite. Is it their new neighbors on the ice - Stevie Jr. and his overbearing Dad - with their high-tech gear and over-sized rig that is driving the fish away? Or is it something else? The answer comes in an onslaught of ferocious attacks that unites the two families against a mysterious creature from under the ice. 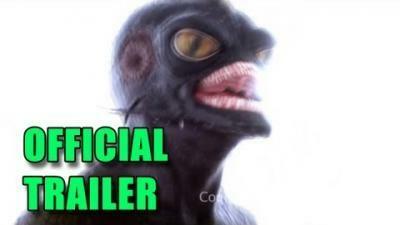 Official Synopsis: Ray Pelletier just wants to spend a pleasant and relaxing weekend ice fishing with his family. Alas, Ray's plans are ruined by the unwanted presence of the obnoxious big city father and son duo of Steve Cote and Stevie Jr. However, the two squabbling families are forced to set aside their differences and work together after a vicious monster awakens from the cold waters of the remote frozen lake area they are staying at.